There’s the crowded field of GOP gubernatorial candidates, including Rep. Diane Black, businessman Bill Lee and state House Speaker Beth Harwell. On the Democratic side for governor, it’s former Nashville Mayor Karl Dean and state House Minority Leader Craig Fitzhugh. And in TN-8, current GOP David Kustoff (whom President Trump endorsed via Twitter) is getting a primary challenge from radiologist George Flinn. Secretary of State Kris Kobach and a handful of other Republicans are taking on GOP Gov. Jeff Colyer. And the Dem primary in KS-3 to challenge Rep. Kevin Yoder, R-Kan., features EMILY’s List-backed Sharice Davids and Bernie Sanders-backed Brent Welder. Another EMILY’s List-vs.-Sanders race is the Dem gubernatorial contest between Gretchen Whitmer and Abdul El-Sayed — along with businessman Shri Thanedar. A recent NBC/Marist poll showed Whitmer leading the field. And in the GOP race for governor, it’s state Attorney General Bill Schuette (endorsed by President Trump) versus Lt. Gov. Brian Calley. In the GOP race to face Sen. Debbie Stabenow, it’s John James versus Sandy Pensler. The Democratic field to fill the congressional seat being vacated by retiring Rep. Dave Reichert, R-Wash., is led by pediatrician Kim Schrier, former prosecutor Jason Rittereiser and former CDC official Shannon Hader. The overwhelming GOP front-runner in WA-8 is former Senate/governor candidate Dino Rossi. Gov. David Ige is getting a primary challenge from Rep. Colleen Hanabusa, D-Hawaii. There’s a crowded field of Democrats running to replace retiring Gov. Mark Dayton, including Rep. Tim Walz, state Attorney General Lori Swanson and state Rep. Erin Murphy. On the GOP side, it’s Tim Pawlenty — TPaw! — running for his old job as governor against Hennepin County Commissioner Jeff Johnson. The NBC/Marist of Minnesota had Pawlenty ahead in this GOP race. It’s Leah Vukmir vs. Kevin Nicholson in the GOP primary for the right to challenge Sen. Tammy Baldwin, D-Wis., in the fall. The NBC/Marist poll of Wisconsin found the Vukmir-Nicholson race neck and neck. The GOP Senate primary is a three-way race featuring establishment-backed Rep. Martha McSally, former state Sen. Kelli Ward and Joe Arpaio. The winner will take on likely Dem nominee Kyrsten Sinema. In the GOP gubernatorial race, it’s Rep. Ron DeSantis (whom President Trump campaigned for last night), versus Adam Putnam, with DeSantis now the overwhelming favorite. 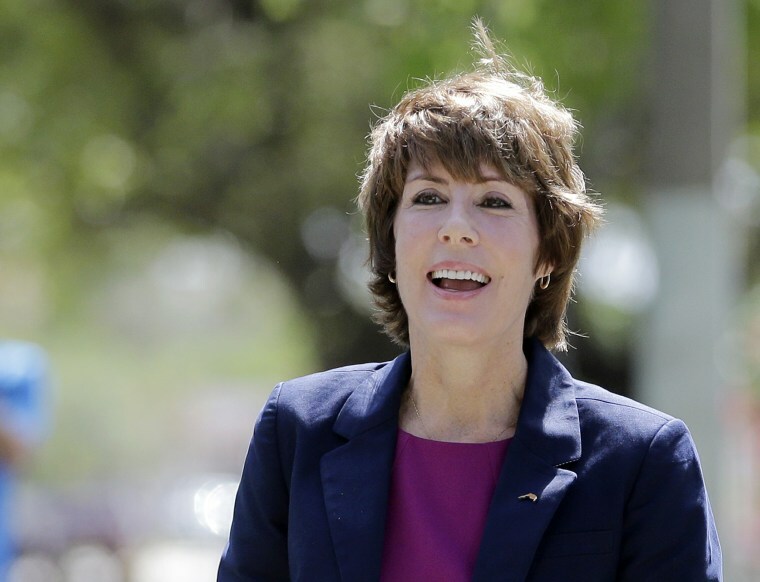 And in the Dem gubernatorial primary, it’s former Rep. Gwen Graham, D-Fla., Tallahassee Mayor Andrew Gillum (who was just endorsed by Bernie Sanders), Miami Beach Mayor Philip Levine and businessman Jeff Greene. Maybe more than anything else, the Manafort trial is going to expose the unseemly side of K Street, especially when it comes to foreign clients. Is Robert Mueller doing more to “drain the swamp” than anyone else right now? Let’s take a step back: The president’s former campaign chairman is on trial; Facebook revealed on Tuesday that it had uncovered “a new covert campaign to spread divisive political messages on its social network”; and the president of the United States is arguing that “collusion is not a crime” — but if collusion happened, it was by the Democrats?